Capital has outperformed all of its nearest radio rivals in London, growing its audience by more than a quarter year on year and taking it leagues ahead of Kiss, Magic and Heart. The latest radio listening figures from Rajar show that Capital London had an average weekly audience of 2.29m, up 27.5% on the 1.79m listeners it attracted at the same time last year. Global-owned Capital’s expansion in the three months to 3 April 2016 is reflected in the station’s 10.1% increase on the previous quarter, which saw an average 2.08m listeners tune in each week. Capital London – which unveiled a new studio at its HQ in Leicester Square at the beginning of May – also celebrated success with its breakfast show results. Despite the departure of longstanding co-host Lisa Snowdon, who left just before Christmas after more than seven years presenting, the breakfast show saw booming results in the first quarter of 2016. 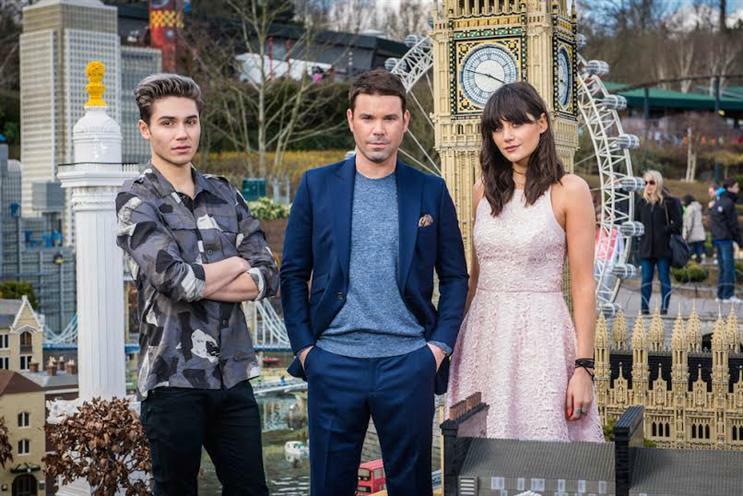 Remaining host Dave Berry, along with new co-presenters George Shelley and Lilah Parsons, drew an average weekly audience of 1.16m, up 33.5% year-on-year, and up 7.8% on Q4 2015. The thriving results for Capital London meant the station has put a significant amount of space between it and nearest rival Kiss London, which captured an average weekly audience of 2.01m in Q1, up 6.8% year-on-year but dipping by 0.2% on Q4 2015. At the same time last year, it was a different story, with Kiss London ahead of Capital by around 90,000 listeners. Bauer-owned Kiss London has also experienced a slide in its breakfast show results, with audience numbers dwindling to 852,000, from 879,000 a year ago, although the show launched a new seven-month partnership with mobile network Three in March, and has extended its daily broadcast by one hour. The next two largest stations in the capital – Magic and Heart – had a disappointing start to 2016, both experiencing drops in audience numbers. Bauer’s Magic had an average 1.75m listeners each week, down 9.2% on the previous quarter, and sliding 8.7% year-on-year. Meanwhile, Global’s Heart was down to 1.55m listeners, falling by 14.2% on Q4 2015, though it saw slight growth of 0.9% on the same time last year, when it drew a weekly audience of 1.53m. Both Magic and Heart also fared badly with their breakfast shows, each seeing falling numbers on the previous quarter and the same time last year.